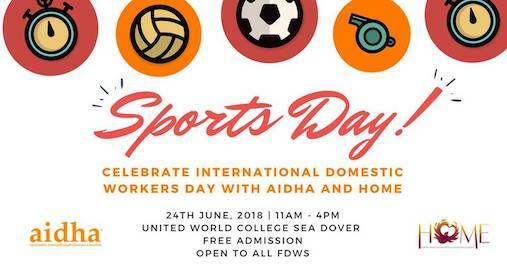 On Sunday, July 8th, Aidha partnered with HOME – Humanitarian Organization for Migrant Economics – to host the first-ever Sports Day event open to all domestic workers. Our Sports day had team building sporting activities, such as marathons, volleyball, dragon boat and more, to strengthen the foreign domestic workers community. The event was a fun-loving celebration to show our gratitude towards the FDWs in Singaore! All photos from the event can be found in this Facebook album! © 2018 Aidha Ltd. (Registration number UEN: 201006653E ) is a registered charity in Singapore with Institution of Public Character status. All Rights Reserved.